Casio Mudmaster G-Shock Watch | BUDK.com - Knives & Swords At The Lowest Prices! 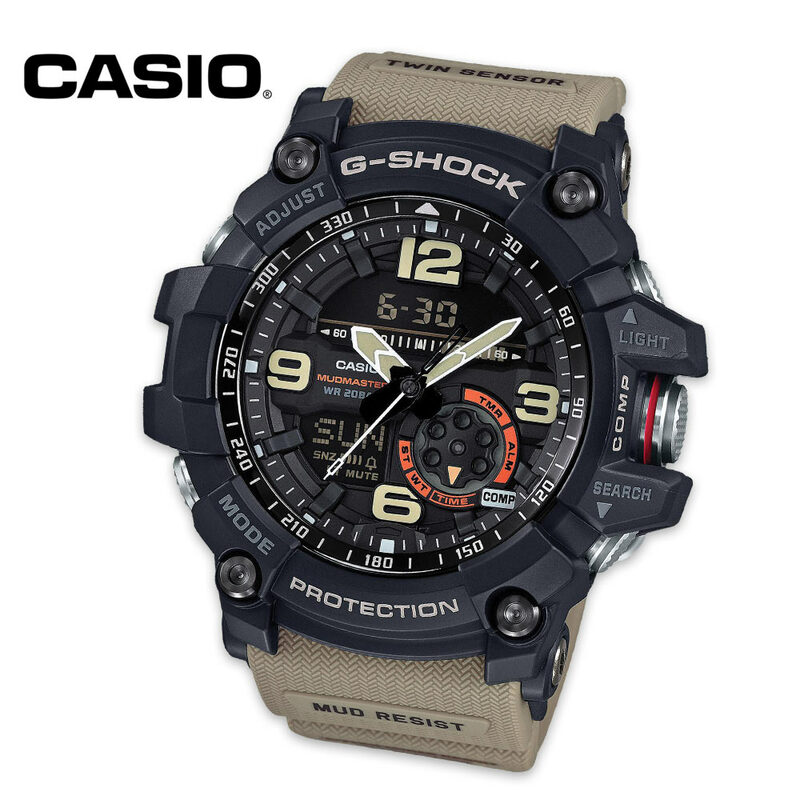 This is the latest new addition to the Casio Mudmaster Series of watches. Mud Resist construction helps to ensure that nothing gets into the watch when down and dirty work takes you deep into the dirt and sludge. The buttons use a cylinder type guard structure with gaskets for shafts and cylinders to prevent mud and dust from getting into the watch. Multiple gaskets are used on the pipes that guide buttons and shafts and these pipes not only act to protect the buttons from impact, they also enhance button operation. The watch features a digital compass, which measures and displays direction as one of 16 points and features bidirectional calibration and magnetic declination correction. It also has a 1/100 second stopwatch with measuring modes including elapsed time, split time and 1st-2nd place times; a countdown timer with a countdown start time setting range from one second to 60 minutes in one-minute increments; world time with 31 time zones (48 cities + UTC); a full auto calendar (pre-programmed until the year 2099); and five daily alarms. The neo-brite luminous hands and markers, plus, the auto LED Super Illuminator Backlight with selectable illumination duration and Afterglow, make the Casio Mudmaster Watch easy to read under any conditions.